Tomorrow marks a year since I first began blogging and I will be writing about that, of course, that is if I can find a way to access the internet. Probably will be back here in the Lake Havasu City Library, a beautiful, convenient place, but not quite as handy as having service in my own home. It turns out that it will be another week before they have wireless internet service at the RV Park where we have parked our motor home, so I’m here and there trying to get online. The library is usually best for me. I love children, and am quite fascinated with them, (kind of in awe of some of these really smart ones) so in preparation for tomorrow’s post about my own experience with blogging, I am bringing David Wilkinson to you. He is 12 years old and writes a wonderful, indepth article on how to send traffic to your site. 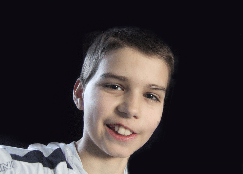 Remember 12 year old blogger David Wilkinson from Techzi? David and I have kept in touch with one another since I posted about him last and recently I asked him to consider writing a guest post here at ProBlogger. I thought a 12 year old’s perspective on how to get traffic to your blog might be worth hearing. Here’s his post. When Darren Rowse comes up to you, and asks you to write a post for ProBlogger.net, it’s not something you can really say ‘no’ to. Not that you’d want to of course, but more the fact that it’s the opportunity of a lifetime. Why should I write, of all people though? Well Darren wanted to hear the methods that I as a young person use to drive traffic to my blog, without spending any money. Really nice site you got here. I’ll come back more often and check it out. How green is the grass on the other side of the fence? Not much. Don’t believe it I tell you. this is supposed to be about? Looks Like Dallas is in trouble! Phoenix might end up blowing them all away. PHX vs. Det. Hmmm..Could be interesting? Hope you get access at home real soon! Though a little on the pricey side ($59.00/mo), Sprint offers Mobile Broadband which is a wireless high-speed data services network that run on the Sprint Power Vision Network. It would solve most of your mobile posting problems. Let me know if you want more info on it.